Fido's Fountain replenishes itself automatically with fresh cool water after your pet drinks. sensitive diaphragm valve, which has been used in households for years. 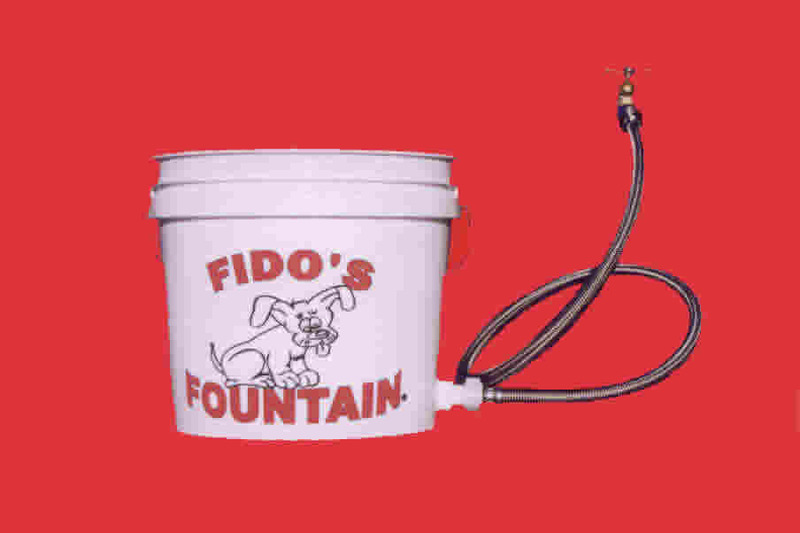 Fido's Fountain includes braided 4 foot water supply line, which is burst proof. turn the water on and FIDO'S does the rest.